Marketing trends come and go. Understanding which ones are here to stay? That’s the trick. Shouldn’t someone develop some kind of checklist or a cheat sheet? Oh, wait, we did! Learn The Qualities Of a Great Marketing Strategy. Marketing in 2019 will be (and should be) data-centric. Tracking how well those mass mailers of old are converting is nothing short of a nightmare. You shouldn’t waste time or tens of thousands of dollars on marketing tactics that can’t prove their own return on investment (ROI). Some of the items on our cheat sheet might be a little… unconventional. Have you considered how voice search plays into your marketing strategy? Have you considered how GDPR affects your business? What is PPC and does it matter?. Blogging and Facebook aren’t the only ways to reach your clients. Heck, they might not even be in the top five for your particular clients. 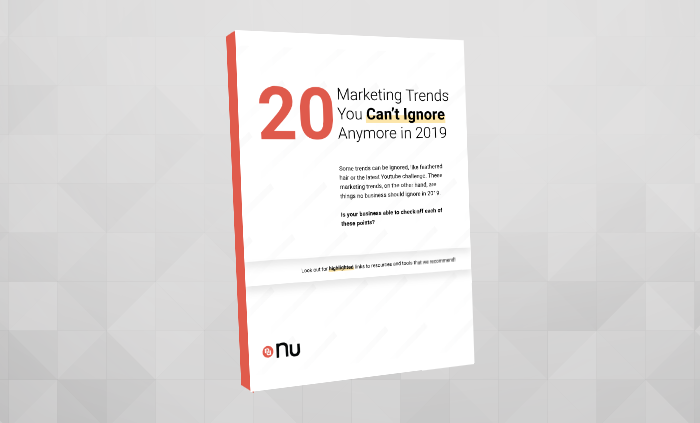 Our cheat sheet details some of the marketing communication trends that are showing massive growth and should be on your radar. Don’t miss out on that Instagram fame! We won’t give it all away here, but our cheat sheet not only provides useful tips, but contains a wealth of knowledge in one place so you aren’t having to scrape the bottom of the internet to find what you need. Interested in Learning More? Good! We’re Interested in Sharing Our Knowledge! Fill Out The Form and Start 2019 Off Right!